Though many people may recognize the name Jerry B. Jenkins before that of his son, Dallas Jenkins is making waves in the entertainment industry. Jenkins, a producer and director, is behind a series unlike anything to hit screens, big or small. The Chosen is a scripted series about the life of Christ set to span several episodes and seasons. Through crowdfunding, the series has already raised $4 million, which means it is officially a contender to chase the No. 1 title in history, Mystery Science Theater 3000. Right now, The Chosen is the No. 4 crowdfunded film and television project of all time. Click here to watch the pilot episode for free. 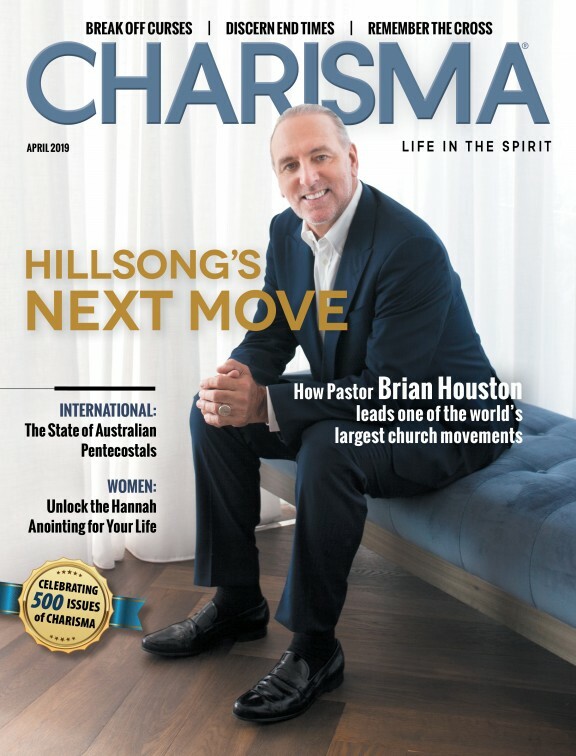 Jenkins, who directed The Resurrection of Gavin Stone, What If and Hometown Legend, recently spoke with Charisma News about his new series, Hollywood and more. Why turn the story of Jesus' life into a scripted TV series, beyond a TV special or film? Films and mini-series about the life of Christ can be good, but they have a major hurdle to overcome. They can't cover the heart and emotion and backstory of all these stories, because they're trying to cover a lot of ground in a short amount of time. Most Jesus movies go from verse to verse, story to story, and we don't have time to really dig in. A multi-season show, like the ones we binge-watch or tune in to weekly, allows you to dive into and connect with the characters. What makes it different from episodes put out by Mark Burnett or films that try to tell the biblical narrative? Aside from the fact that we're taking more time with the stories so people can relate to the characters Jesus touched, we're also going to get a little less "formal" than most Jesus projects. Again, I love some of them, it's not a criticism. But when people watch our pilot episode, the most common response has been about how authentic it felt. The characters talk like normal humans, we see them laugh and argue and relax and experience life just like we do. You said something along the lines of, "But something like you just saw shouldn't be entrusted to Hollywood. It needs to be made by us." Who is us? Why us? My exact words were, "Do we want to put this story in Hollywood's hands? Something this important should be made by us." I don't mean that Hollywood is incapable of telling this story, and they've done it before, several times quite well. My point is that we shouldn't expect Hollywood to have to tell a story we're so passionate about in such a personal way. "Us" refers to those who want the story of Jesus told like this. It's easy to criticize Hollywood anytime they don't get our stories right, so let's put our money where our mouth is. Now we can control the content, and we're hoping that potential investors will trust us to tell this story right. Given that you've raised $4 million for the project, why are people latching onto this idea? People tell us they feel something when they watch the pilot episode. It just feels different, I think. Personal. But long-term, I think the notion of having a show about Jesus and his followers that we can really dig in to, like how we do with shows like Downton Abbey, Breaking Bad, Stranger Things and so on, seems overdue. What has the Holy Spirit revealed to you about this project and other films/programs you've worked on? Last year, after the disappointing box office of The Resurrection of Gavin Stone, the Holy Spirit made it very clear to my wife and me, "Your job is not to feed the 5,000, it's only to provide the loaves and fish." That was life-altering. And shortly after that, I made this pilot episode, and the idea of a multi-season show came, which hasn't been done before. And I realized, what God wants to do with it is up to Him, but my loaves and fish are going to be telling the story of his Son to the world. Why choose a platform like VidAngel opposed to something that would have a wider audience? Well, I believe VidAngel will help this have a wider audience. They're some of the smartest guys I've ever met in this business, and I think we're going to do something special together. Not to mention, it's not like I can just walk into Netflix or CBS or wherever and say, "I want to make a multi-season show about Jesus, I need $12 million for production and marketing, and I want to control the content. When do we start?" They'd laugh me out of their really nice offices, as they should. VidAngel shares the vision, they're putting their resources behind it, and they've provided the platform and ability to raise over $4 million from over 5,000 people. Tough to beat! How has the series come together so far? We've written the first four episodes, and the response has been terrific. I cannot wait to get going, I think they're special. Our intention is to shoot at least the first four episodes this fall, and we'll see what happens while we're doing that. What's your next step in the process? At the $4.5 million mark, we're launching work on the first four episodes, so we've got to hire cast and crew, finalize our shooting locations and more. But we'll continue to raise investment for the full season and marketing. How does work on a scripted series like The Chosen differ from working on films? Oh man, it's way more work. Season one will be eight episodes, and while I'll be shooting the episodes, I'll also be supervising the editing of episodes we've shot and the writing of episodes yet to come. My adrenal glands are going to be under fire. What are some cool miracle stories from on set? You should come to the set when we shoot and see some of them for yourself, I'm sure there will be some. But so far, the miracles have come in two places. The writing, as we've seen the stories come together so beautifully, and the fundraising. Four million dollars in two months from 5,000 + people feels like a miracle to me. And of course, there's always the stories we hear from people who've come to faith after watching the pilot episode. How has work on The Chosen affected your personal faith? Writing stories intended to help people know Jesus more results in my knowing Jesus more. The research alone does that, and it's been awesome. We went to Israel earlier this year for research, and we created several videos on our website that dig deeper into the stories we'll be telling. I've been a believer my whole life, and I learned something new in every story.